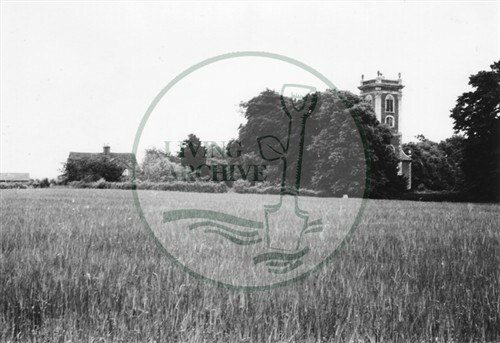 You are here: Home>Archive>Iain Cawthorne Collection>Photographs taken by Iain Cawthorne of the designated area of Milton Keynes (c.1970s).>Photograph of St Mary Magdalen Church, Willen (1971). Photograph of St Mary Magdalen Church, Willen (1971). Willen village church commissioned by Dr Richard Busby 1678-80 designed by Robert Hooke a colleague of Sir Christopher Wren built by Richard Atterbury of Newport Pagnell. The church was built on the site of a two cell Norman building. The building accounts are preserved in the Westminster Abbey Archive.